UFO SIGHTINGS DAILY: Two Black Helicopters Over Texas Has UFO Shoot Past, Oct 2015, Video, UFO Sighting News. Two Black Helicopters Over Texas Has UFO Shoot Past, Oct 2015, Video, UFO Sighting News. 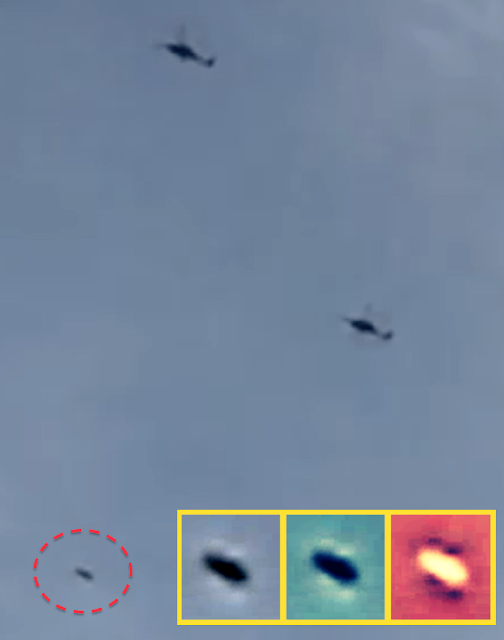 Two black helicopters were over this guys area and a UFO shoots past. 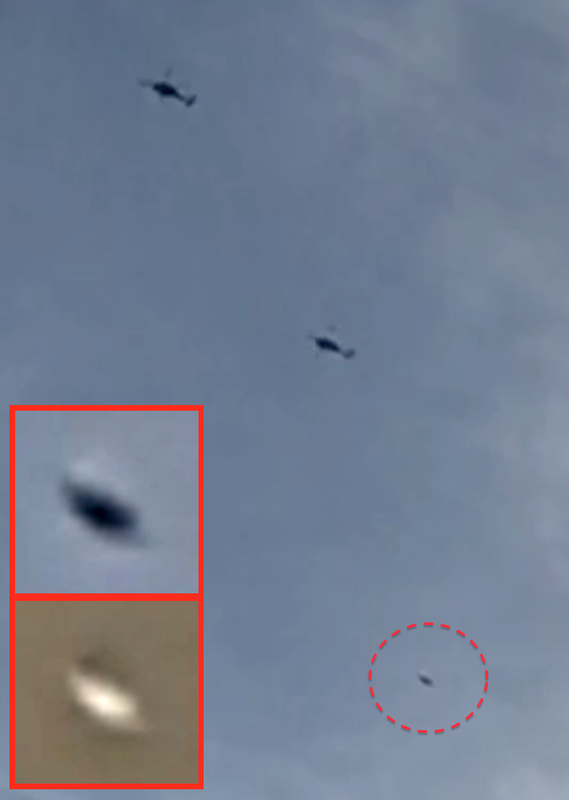 Was this an alien UFO or was this a military drone following them? Thats the big question. There are no wings, it is disk shaped for sure. Sorry I had to put the video sideways, but they guy filmed it long ways, and I didn't want to edit it, but wanted to keep it original. I was recording with my iPhone some blackhawk helicopters flying over my house at t/p/o and was gust reviewing the video I realized it was in slow motion and saw an object move from the bottom right to the left a lot faster than the helicopters even though they were both in slow motion.Not sure if it could be a bird but you guys are the experts let me know what you think If I can't figure out how to attach it to this form I will email seperatly I am a retired New York City Police Officer living in West Texas.